Reading and share top 1 Miyoko Hikiji famous quotes and sayings. Browse top 1 most favorite famous quotes and sayings by Miyoko Hikiji. 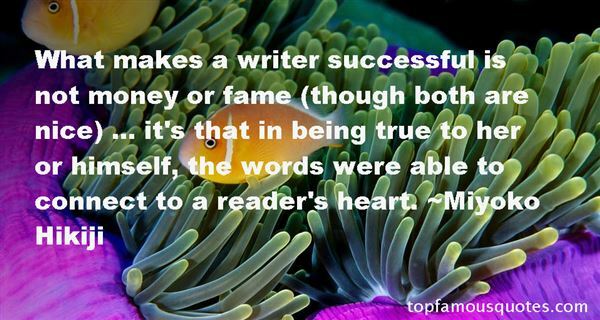 I'm often asked which author I am most inspired by, but I'm inspired by all authors. It takes a great deal of courage to pour your onto paper and watch silently as the world judges it loudly."